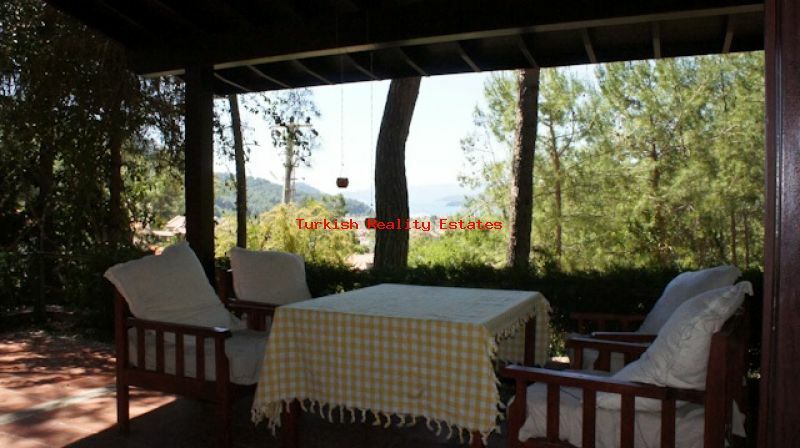 Detached villa for sale in Gocek, Fethiye, Turkey!!! Sea views, 2 Bedroom detached villa. Furnished. 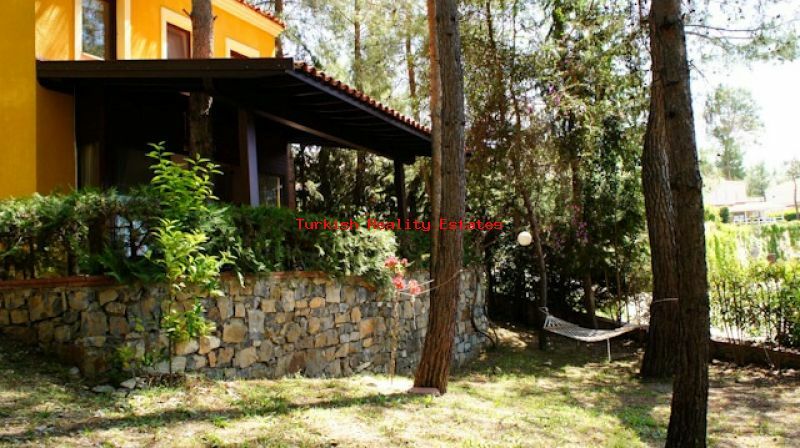 5 mins drive from Gocek Marina and its well-heeled town centre with boutique shops and restaurants. 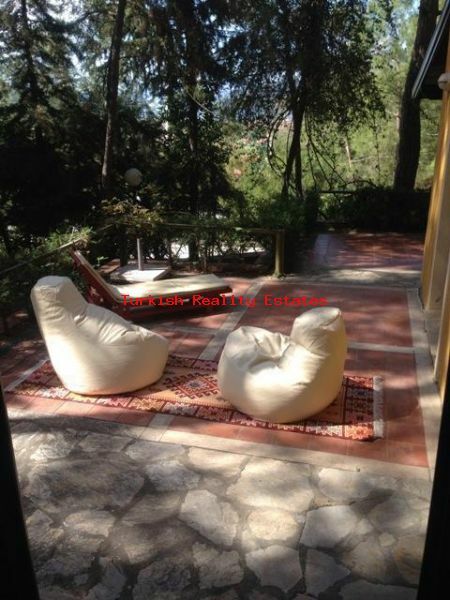 Beautiful secluded mountain side location. Good sized garden with many mature trees including pines, olive, lemon, orange, lime. shared use of a large (266 square metre) pool and communal area. Management fee of 400TL per month including security, pool management, garden watering, site maintenance and site manager. Recently renovated so all new double glazed upvc windows and doors in wood effect. Brand new steel front door. Open fire for use in winter months. 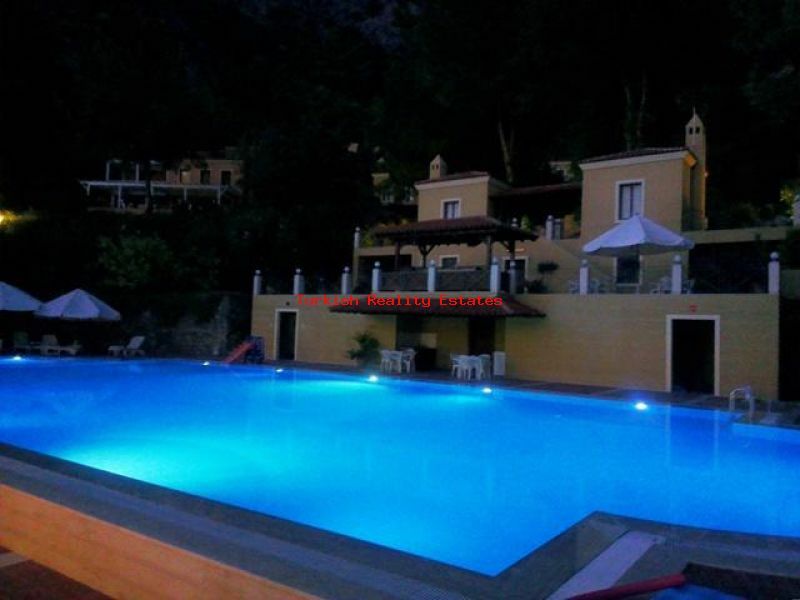 Gocek Rosmarin villas are built on a coastal hill behind the marina of Gocek with breathtaking view of the surrounding area. The villas are surrounded by pine trees, colourful shrubs and wild flowers and part of a holiday village type setting. 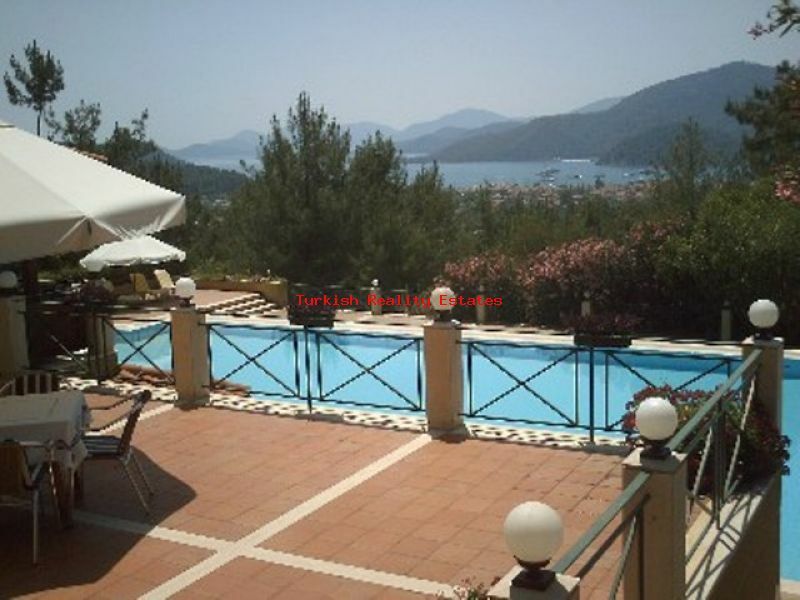 Each one commands a superb panoramic view of the sea and the resort of Gocek.